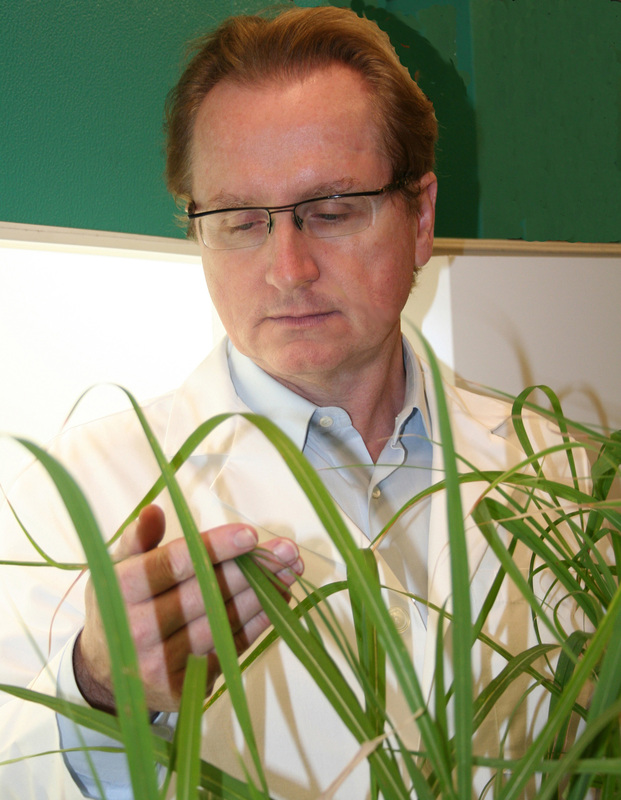 Steve Kay: A protein initially discovered to affect the biological clocks of plants and mammals has been found to regulate glucose production in the liver. Biologists have found that a key protein that regulates the biological clocks of mammals also regulates glucose production in the liver and that altering the levels of this protein can improve the health of diabetic mice. Their discovery, detailed in this week’s advanced online publication of the journal Nature Medicine, provides an entirely new biochemical approach for scientists to develop treatments for obesity and type 2 diabetes. It also raises the interesting possibility that some of the rise in diabetes in the U.S. and other major industrialized countries could be a consequence of disturbances in sleep-wake cycles from our increasingly around-the-clock lifestyles. Cryptochrome was first discovered by scientists as a key protein regulating the biological clocks of plants. It was later found to have the same function in fruit flies and mammals. But its role in regulating glucose production in the liver came as a complete surprise to the UCSD and Salk team, which included scientists from the Genomics Institute of the Novartis Research Foundation in San Diego, the University of Memphis and the Chinese Academy of Sciences in Shanghai. That additional function of cryptochrome in mammalian cells, the scientists discovered, is to regulate a process known as “gluconeogenesis,” in which our bodies supply a constant stream of glucose to keep our brain and the rest of our organs and cells functioning. When we’re awake and eating, sufficient glucose is supplied to our bloodstream. But when we’re asleep or fasting, glucose needs to be synthesized from the glycogen stored in our liver to keep our glucose levels up. In their study, the scientists found evidence that such an approach would be feasible. “Our experiments show very nicely that modulating cryptochrome levels in the liver of mice can actually give diabetic animals a benefit,” Kay added. The researchers discovered cryptochrome’s role in gluconeogenesis while studying how a signaling molecule known as cyclic AMP interacted with the biological clock. Zhang and his UCSD colleagues conducted a series of experiments that found that the production of the next step after cyclic AMP, a protein called Creb, ebbed and flowed rhythmically in the livers of mice. That led the scientists to their initial discovery that cryptochrome was regulating the production of Creb in the liver. In their studies with fasting and insulin-resistant mice at the Salk Institute, the scientists found that cryptochrome was regulating how the hormone glucagon, which controls gluconeogenesis, works in a very specific way. By controlling the production of cyclic AMP, crytochrome regulates the activity of Creb in the liver. In this way, the production of glucose in the liver is tied through our daily eating, sleeping and fasting activities through the biological clock. The scientists say their discovery may open up a whole new area of research into how cryptochrome may be regulating other cell functions outside the nucleus. “There’s a wide role that the biological clock may be playing in influencing other hormones, not just glucagon, that are important for metabolism,” said Kay. In addition, studies on human populations have found links between disturbances in the biological clock, such as shift work and chronic jet lag, and the propensity to develop certain kinds of cancers as well as diabetes. Because of this, the scientists plan to continue their research into cryptochrome, looking for compounds that may enhance or diminish the activity of this critical biological clock protein. 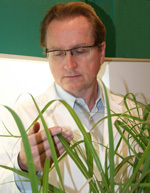 The research was funded by grants from the National Institutes of Health. Other co-authors of the paper include Tsuyoshi Hirota, Dmitri A Nusinow, Pagkapol Pongsawakul and Andrew Liu of UCSD’s Division of Biological Sciences; David Brenner and Yuzo Kodama of the UCSD School of Medicine; Yi Liu, Renaud Dentin and Severine Landais of The Salk Institute; and Xiujie Sun of the Chinese Academy of Sciences.